Tires Tires Tires - Page 5 - DAMN Riders - No rules, Just ride! Are you ready for a rematch on that hill? Oh wait, we had more than one hill. Good test for new donut. I'm going to give a Dunlop Geomax AT 81 rear a try. They were on sale last time I was in Ride On Moto and they talked me into trying one. Amazing how those 40+ year old steam engines can manage to find traction running a silly gay trials tire. 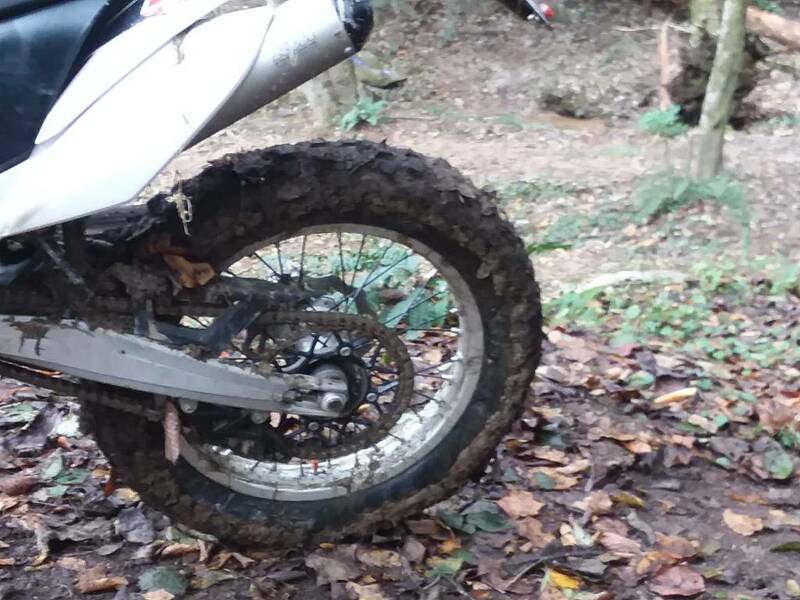 Traction was better than with my used up Maxxis, but the stock KTM Freeride Maxxis is an excellent tire. I wanted something with knobs to help get me out of corners and help with rear braking. The 505s are hard to spin in dry to slightly wet conditions. In the slimy mud I was always moving forward, usually straight. I did do a lap before the loop got tore up and traction was good. So far I like the 505s. I think I had 8 psi in both tires. Most of the trials guys seemed to be running WF pressures 0-flat. IRC M5B with tubliss @ 8psi. I threw on a 500 mile used mountain hybrid on my bike 2000 miles ago and it has 3 mm tread left in center. It wears rounded. 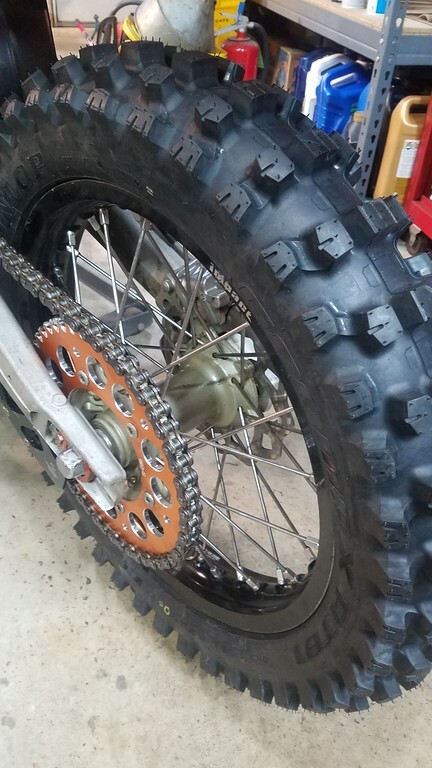 Unlike my tkc80 which was worn flat at 1900 miles...not that the tkc 80 is a dirt bike tire. Yup!! My Beta loves my 505! Seems to wear pretty well too!